NSF Certified Water Filter (HomePure AP-0930) a ‘Good Product’? A plethora of water quality improvement products exists and sometimes the choices seem overwhelming — even to folks with more than a little knowledge on the topics of water quality and water quality improvement. Does this mean the product is good? 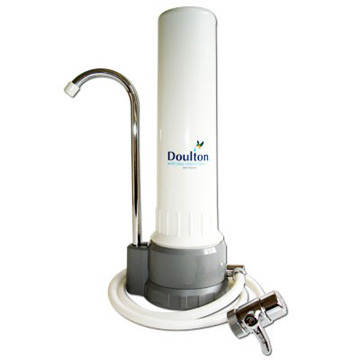 Quite honestly, we have never seen the HomePure AP-0930 before but as we said previously, the marketplace has a ton of water filtration units out there and we seriously doubt that anyone could know the in’s and out’s of every single water filtration unit currently available for purchase. With that said, we looked at the NSF credentials supplied by Ric and saw that this unit has tested and certified to NSF/ANSI STANDARD 042 (Drinking Water Treatment Units – Aesthetic Effects) for the reduction of chlorine taste and odor as well as NSF/ANSI STANDARD 053 (Drinking Water Treatment Units – Health Effects) for the reduction of volatile organic compounds (VOC’s). While having NSF Certification does give the HomePure AP-0930 a bit of credibility, please keep in mind that not every water filter will work in every application — even with NSF, WQA, etc. certifications to back up its capabilities. Think of it this way: A high quality hammer won’t do you a bit of good when you need to turn a screw. Yes! Do it! 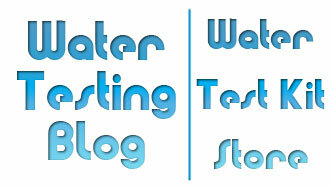 Test your drinking water before spending money on a water filter! Before investing in a water filter for your home or office make sure you test your water for as wide a range of potential contaminants as possible. Doing so could save you the expense and aggravation associated with installing a filter that addresses the wrong water quality issues. Anything specific about the HomePure AP-0930 catch your eye? We like the fact that the HomePure AP-0930 has NSF certifications. As we said before, it means the unit certainly has some credibility. One thing we did not like about the unit dealt w/ it inability to filter out heavy metals such as lead, copper, iron, chromium, etc. In our opinion a well-rounded, general purpose water filter would also have the ability to remove/reduce levels of heavy metals in drinking water. Older homes most likely contain metal piping and the majority of public water systems contain metal pipes, as well. “But, we live a newly constructed home.” Does not matter (in our opinion). Newer homes, while mostly containing PVC or some other type of plastic piping, still get connected to public water systems that contain miles and miles of metal pipes. Depending upon the quality of the water when it leaves the water treatment plant, it has the opportunity to pick up anywhere from traces of metals to noticeable levels of metals as it travels through those miles of metal pipes to homes and offices on the water system. Interesting fact: The literature for the HomePure AP-0930 water filter system did mention metals and say that metals in water may cause problems, but the HomePure AP-0930 does not remove/reduce metals. Replacement filters for the HomePure AP-0930? According to the NSF web site, the HomePure AP-0930 uses a replacement filter element with model number “AP-0931”. 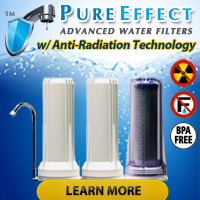 A quick search on two popular online water filter web sites (FilterWater.Com, FiltersFast.Com) and a Google search yielded no locations where a person could purchase replacement filters. Not a particularly good sign! What happens in 3 months or a year when the original filter kicks the bucket? Not all water filter systems are created equal and even though some bear seals of certification and/or endorsement from well-known, reputable organizations such as NSF or WQA, not every one of those ‘certified’ products will clean up every possible water quality condition. So, test your water to see what problems/issues it may have and THEN set about the task of locating the correct water quality improvement device for your water. Look for products that bear the NSF and/or WQA logos, but do not assume the logo automatically means that a particular device will do what you need it to do. Oh, and one last thing: Check to make sure you can easily acquire replacement filters for any water filter you consider buying.